Comprising the western two thirds of the beautiful Caribbean island of Hispaniola (Haiti is located on the remaining third), the Dominican Republic has much to offer all types of travelers. This guide offers great Dominican Republic travel tips and recommendations garnered from many trips to the intoxicating country. There are various possible getaways a traveler could experience in the DR. The allure of an all-inclusive Dominican Republic vacation brings many to Punta Cana and Puerto Plata, and other DR hotspots. The capital, Santo Domingo, offers unrivaled historical sights, a vibrant nightlife, delightful restaurants, and a inviting populace. Provincial towns and villages reveal the friendly heart of the DR and provide a welcome change of pace. Independent travelers should look to the unpretentious beach towns and beautiful beaches of the Samana Peninsula for their Dominican Republic vacation. Travel to the Dominican Republic is rich in its possibilities. Energetic music, joyous cultural activities such as baseball (and, for the more adventurous, cockfighting), tasty cuisine, and a rich history will provide much to entertain a visitor. There are also some top golf courses, diving spots, and adventure tours for the active vacationer. Cruises stop in DR ports and the growing business opportunities of the capital entice many business travelers, but the best travel to the Dominican Republic is a lengthy one. Nonetheless, whatever your aims as you plan a visit to the Dominican Republic, we invite you to browse this online guide for all the best Dominican Republic travel tips. This website has all the information you need to plan your visit to the Dominican Republic. Read about the history of the island, its music, its food, and its many festivals. Find out the best time to go, places to stay, and attractions to visit. We have enjoyed visiting this island over the last few years. We hope to make your trip as satisfying and rewarding as ours have been. Video introduction to the Dominican Republic from the DR Ministry of Tourism. 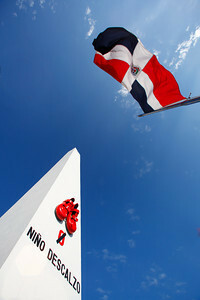 The obelisk in Santo Domingo, a tribute to Dominican history. 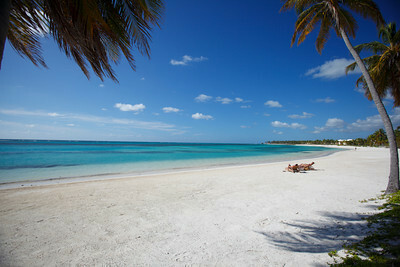 Beautiful Punta Cana, the destination for many Dominican vacations..